The Hampton Inn - Suites Boise-Meridian ID is a beautiful 128 room hotel that is located just off I-84 at Exit 46 only minutes from Boise in the thriving city of Meridian Idaho. We are close to St. Lukes Hospital Meadow Lake Village Blue Cross and Blue Shield ConAgra and the Silver Stone Business Park. Boise/Meridian attractions include Roaring Springs Water Park Boondocks Fun Center the Meridian Speedway shopping restaurants parks and much more. From having high-speed internet access in every room to our deluxe complimentary continental breakfast this Hampton Inn - Suites hotel was designed to accommodate the corporate traveler as well as those who enjoy a comfortable weekend getaway. 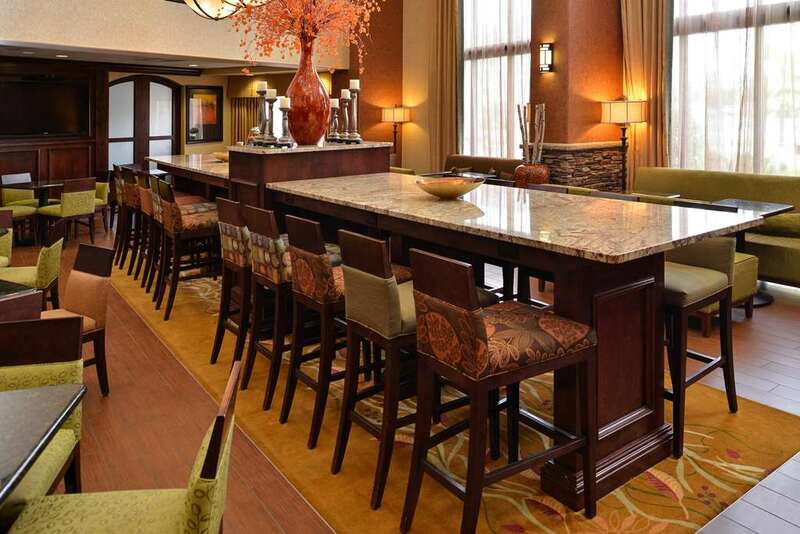 We love having you here at the Hampton Inn - Suites hotel in Meridian Idaho.